The longest period, while person didn't sleep, was fixed in 1915. 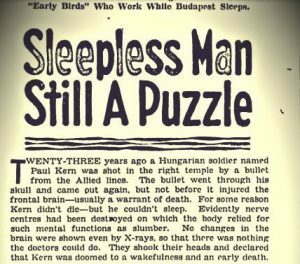 We speak about a Hungarian soldier Paul Kern, who didn’t sleep for 40 years after a bullet wound in the temple. It is impossible to identify whether a person is awake or not without a thorough medical examination. People can sleep with open eyes. Have you ever thought how many years of our life we spend in a sleep? Well, it is 25 years, so we spend a quarter of our lifetime in the kingdom of Morpheus. If it is enough for you to fall asleep during 5 minutes, it means that you badly need a sleep. The ideal time period of falling asleep is 10-15 minutes. If it is your case, it means that you are quite tired, but you were cheerful during the day. If you sleep 6 or fewer hours during 12 days, at the end you will feel like after drinking a lot of alcohol. You will have a loop of coordination, an indistinct speech will appear, and your memory will become worse. 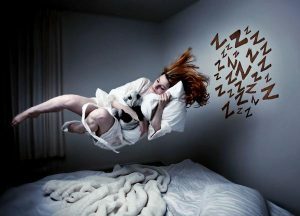 During our sleep, we have such phase of a dream that is called “phase of rapid eye movement” or “phase of corporal paralysis”. During this time we see different images, which we remember as dreams. The phase lasts nearly 90-120 minutes when a special mechanism turns on in our brain and paralyses our body. This happens to prevent extra movements and possible traumas during sleep. As soon as this phase ends, we start moving again. A person snores only in a slow phase of sleep. Our body temperature and sleep cycle are closely related. That is why warm summer nights or cold winter nights can lead to a troubled sleep. 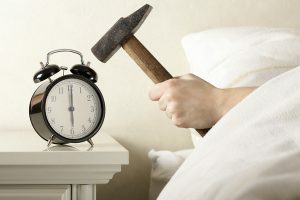 The so-called “biological clock”, which let some people wake up when they want, work thanks to the hormone of adrenocorticotropin. 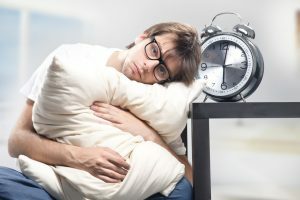 Scientists say that the increase of its level effects on the unconscious expectation of stress from the wakening in the morning. Experts say the most attractive “destroyer” of a good sleep is a twenty-four-hour Internet access. 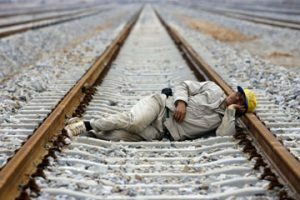 In our lives exists such concept as “microsleep”. 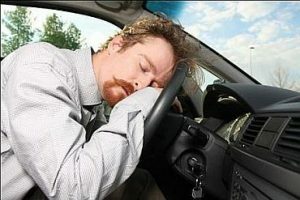 It is a short sleep during some seconds, which occurs due to lack of sleep at night. This condition is very dangerous and often leads to car crashes. In the different age, we need a different number of hours for a good sleep. Small children need to sleep for 10-11 hours, teenagers – 10 hours, adults – 7-8 hours, and for aged people it is enough 6-7 hours. It is a very interesting fact that in dreams men see 70% of male characters while women see 50% of male and 50% of female characters. Besides, in the dreams, men behave more aggressively than women. The first mechanical arm clock appeared in 1787 thanks to American inventor Levi Hutchins, and the main feature was that you could set it only at 4 o’clock. Blind people also see dreams, but unlike people with vision, they see their dreams in sounds, smells, and tactile sensation. British Defense Ministry researchers have developed a method how soldiers could be awake during 36 hours. Tiny optical fibres, which were inserted in special glasses, projected a ring of bright white light around the edge of the eye retina misinforming their brain. 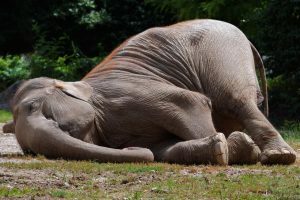 When elephants stand they can sleep in a phase of slow sleep, and when they lie – in a REM-phase. A lot of people say that they don’t see dreams. In fact, it’s not true because during the night we can see up to 7 dreams, but in the morning we forget 90% of them. 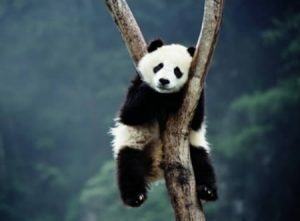 In average people sleep on three hours less than some primates who sleep for 10 hours. Almost all peoples of the world believe in prophetic dreams. And some traditional communities of Africa believe in them so much that on their basis they even make decisions about marriage.